Chicken is always my choice of meat for dinner and it’s quick cooking too. I usually like to pan-fry my chicken but every now and then, braising is good too. The braising liquid is always fantastic on potatoes, rice or even crusty bread. Keep in mind that when you are braising, you’re not going to find any crispy skins here, even though it was browned in the beginning. 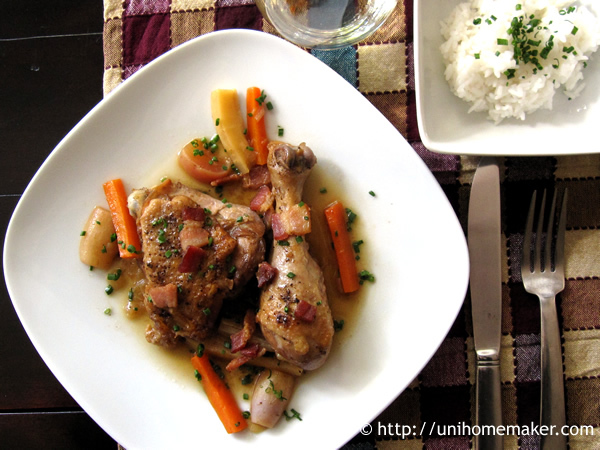 I kept this dish simple but flavorful so if you are looking for a hearty chicken dish, keep looking. I served it with rice and it was delicious! This recipe came from my very first Chinese cookbook in English that Kimi gave me. It was one of the first recipes I made from that book. This is one of those stews where you literally throw everything into one pot and let it sit on simmer for an hour. 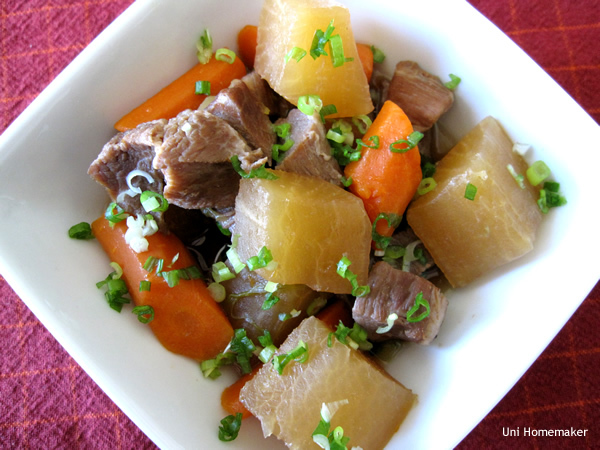 The stew is light but full of flavors so if you’re in the mood for something on the less hearty side, this is a good one to make.